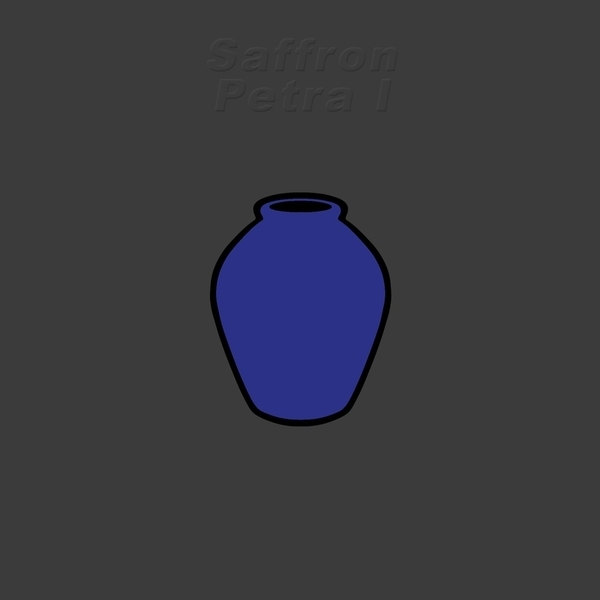 "New York-based producer and texture collector Saffron (formerly Spirit Guide) paints vivid backgrounds and deep cafe situations via crisp, refined house on his debut under this name, a double release “Petra I” and “Petra II”. Saffron’s hybridized genre builds include trip-hop, moody downtempo, sturdy walking-paced house and crunchy IDM with low key cinematics drifting throughout. A multitude of textures protrude from a general coating of slick motion and moods that hover above meticulous bass grooves and piano lines, blending an undisguised sense of proficiency and surface-obsessed sensibilities with sincere and overtly “soulful” tones. This blend of sincerity and aesthetics that throwback to millennial headphone electronica results in a disorienting yet smooth set of erudite beats and rhythms across both “Petra I” and “Petra II”. Both of these EPs work as two different timelines that reside crisply as either languid backdrop or effortlessly melodic and rhythmic foreground; main modes of choice are lush, blue chillout house and piano-driven laidback but emotive electronica, shuffling with jazzy moods and downbeat signifiers. “Petra I” is built on strong piano contributions from Gregory Wikstrom and revolves around centrepiece “Blueland” which also features clear, strong vocals from Momo Ishiguro. Background orchestral fill becomes focal across these 28 minutes, and drum hits punctuate out of well pronounced consonants and collections of synthetic and organic textures blur for a lush imbalance between facades and deep cuts. Purpose built for the subway ride as much as the office or cafe."